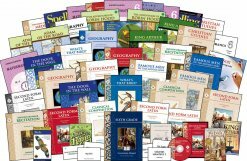 The Classical Core Curriculum is a complete classical Christian curriculum that emphasizes the traditional liberal arts of language and mathematics and the cultural heritage of the Christian West as expressed in the great works of history and literature. The curriculum has an early focus on the basic skills of reading, writing, and arithmetic and a special emphasis on Latin. Latin is the best way to gain an academic vocabulary, to learn the formal system of grammar, and is, along with math, the best early critical thinking skills training. The curriculum’s study of the cultures of Athens and Rome, as well as Biblical and Church history, is designed to provide a basis for a proper understanding of European and American history. Click here to go to our Accelerated Curriculum Track.